Hydrox by-pass is the smallest of the Hydrox actuator family. 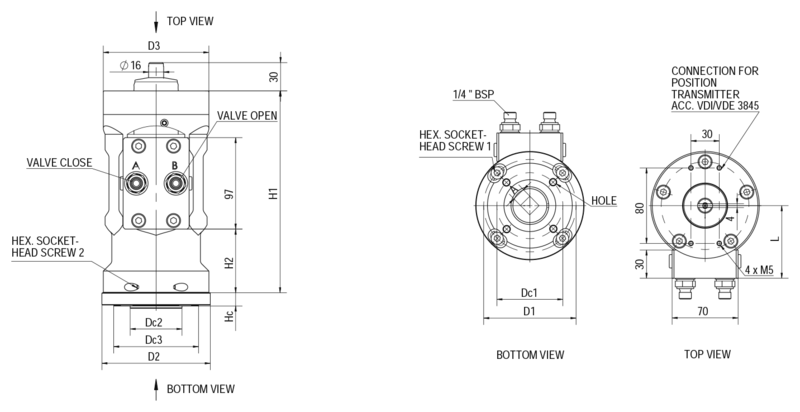 It is intended primarily for use on the bypass valve in demanding sites where mainline valves are equipped with larger Hydrox actuators. Hydrox by-pass provides the same capabilities as the larger Hydrox actuators and is designed to be used in the most challenging applications and environments. Hydrox by-pass is intended specifically for district heating and cooling applications and operates seamlessly with Vexve DN50-DN100 ball valves.